With the industrial and technological advancement, the implication of BIM is increased to a great extent. For a long period BIM has been utilized with the design and construction stage concerning a physical asset. Now BIM is widely used in dealing with the information at the time of maneuvering and managing an asset (building and infrastructure projects). ALIM (Asset Lifecycle Information Management) is a popular term that can enhance the digital transition with BIM. BIM and ALIM work in tandem to provide huge benefits to building, engineering and construction projects throughout the operating phase. BIM and ALIM facilitate efficient management of the data and information associated with a project. The impact of BIM and ALIM in the formation of asset information for management and maintenance purpose, is found in a recent CrossRail project in London. 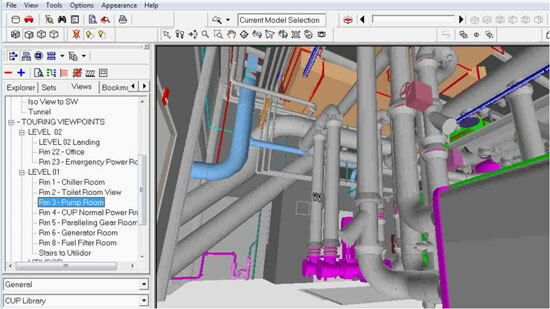 Building Information Modelling (BIM) is used for producing and managing data during the lifecycle of the project by applying model-based techniques connected to a database of project information. BIM integrates data concerning physical, environmental, commercial on each element designed for Crossrail. To handle all the design data, a central software model is created through BIM which involves all 2 and 3D design files. This facilitates to generate comprehensive still and moving visualizations of particular elements of the project. Besides, it allows the spatial relationships of all the component elements to be characterized and this helps detecting clashes easily. London’s GBP15 billion CrossRail project will include the construction of a 118-kilometre line to serve both London and adjacent areas, involving the set up of 42 kilometres in new tunnels and the addition of new routes with pre-existing lines. The Crossrail Asset Information Management System (AIMS) is undertaken to facilitate the smooth operation of this expansive, comprehensive project. AIMS will record data in the long run relating to 1 million individual assets through intelligent data sheets supplied by contractors for the project. BIM facilitates long-term cost savings by supplying precise 3D design information to be delivered to the operators of the railway for dealing with Crossrail’s assets post-completion. Besides, the mass cataloguing of the multitude items and attributes lead to savings of nearly GBP 50 million on operations and maintenance cost annually.